This study aims to find out students' soft skills in the flipped classroom-collaborative learning model on Redox topic. 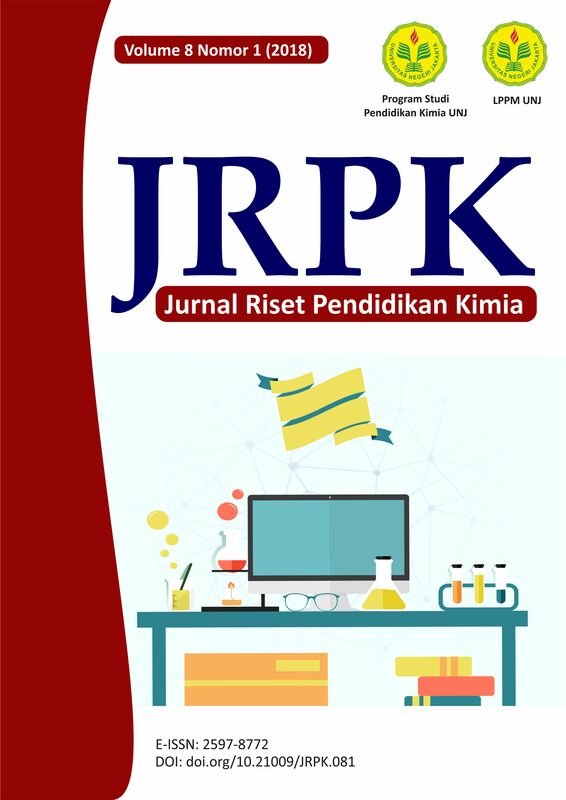 The study was conducted at ane of public senior high schools in Jakarta with 36 students of class X as the research subjects. The research method used is the qualitative method with data collecting through the interview, observation, reflective journal, field notes, questionnaires and learning outcomes tests. Flipped classroom-collaborative learning is a learning model in which students learn subject matter outside the classroom through video of learning, and learning activities in the classroom are carried out with collaborative learning that emphasizes the activities of students in groups, including collaboration, knowledge sharing, constructing shared understanding, and is responsible for the group. The results of the study show that the emerging soft skills of students consist of communication skills, collaboration skills and information and communication technology literacy (ICT). The implementation of the flipped classroom-collaborative learning model makes it easy for students to understand the subject matter inside and outside the classroom, review subject matter, help passive students, and can be used as a guide in doing assignments and preparing tests. Besides, this learning model also has a positive impact on student learning outcomes.